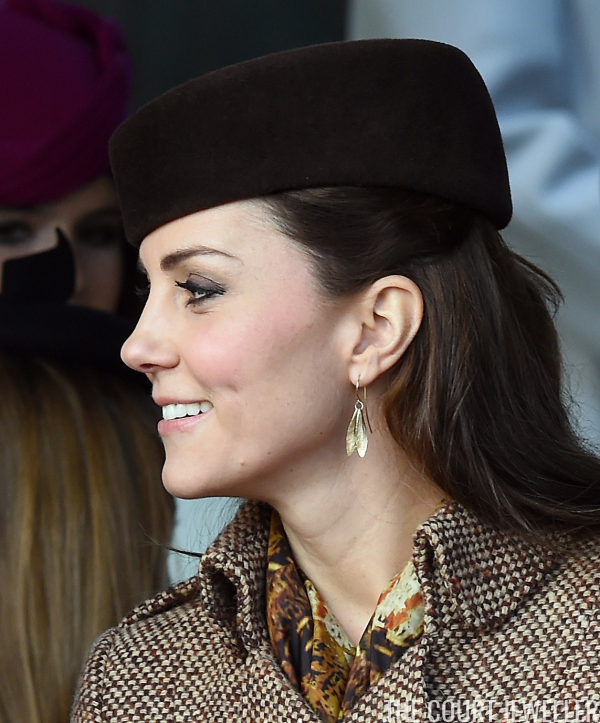 The Duchess of Cambridge has several pairs of golden earrings made in a modern style, but today, we're looking at a pair that has an extra advantage: a coordinating bracelet. Both pieces are from Catherine Zoraida, a jeweler born in Colombia and raised in Scotland. 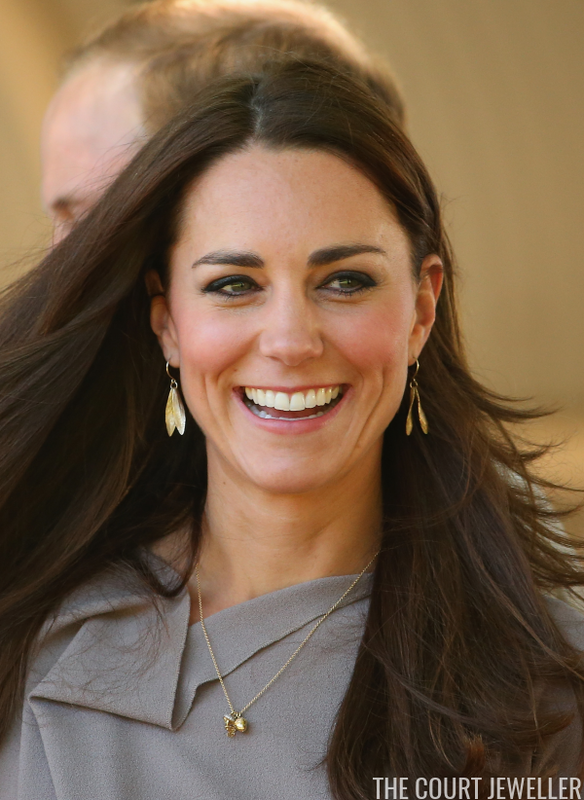 Kate debuted the suite of leaf-themed jewelry during the 2012 Diamond Jubilee tour. She wore both the earrings and the bracelet at a dinner given by the King of Malaysia in Kuala Lumpur. Here's a closer look at the pieces as they appear on the Catherine Zoraida website. 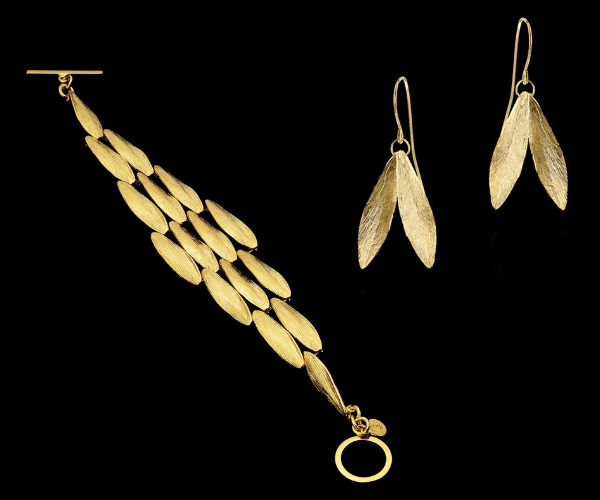 The earrings are the Double Leaf Earrings, which are available in a trio of different metal compositions. The Spread Your Wings Bracelet is a gold-plated piece that retails for £430. Both pieces are clearly advertised on the Zoraida website as items worn by the Duchess of Cambridge. ...and another look at the bracelet from the same engagement. 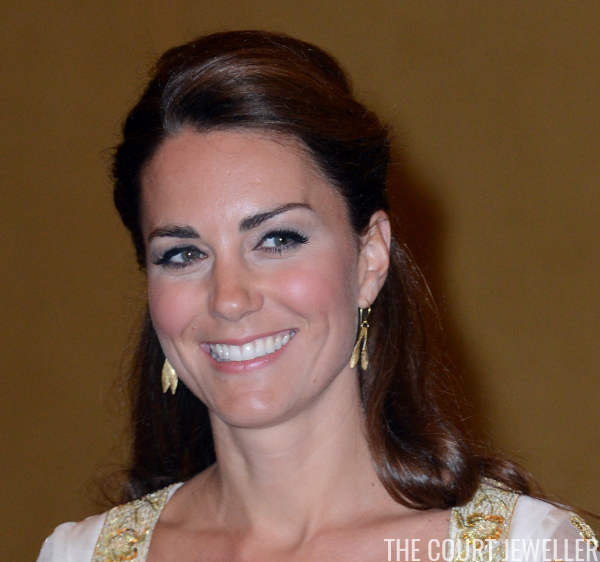 The earrings have become a fairly familiar part of Kate's daytime rotation in the years since. In April 2014, she wore them during another royal tour: the extended visit to Australia and New Zealand. She selected the earrings for the visit to Uluru, which is also known as Ayers Rock. For this outing, she paired the earrings with the Woodland Charms necklace from Asprey. Later the same year, she wore the earrings for a very high-profile event: the royal family's annual attendance at a Christmas church service near the Sandringham estate.